If ever there were albums that deserved to played on vinyl, they would be the Spiritual Beggars records 'Another Way To Shine', 'Mantra III', 'Ad Astra' and 'On Fire'. Originally available between 1996 and 2002, their release on June 29th is part of the Music for Nations reissues series. With liner notes by guitarist and founder member Michael Amott, new artwork by Per Wiberg, each album is to be released on coloured vinyl (three on LP for the first time) and a free CD version of the album with bonus tracks. Formed by Michael Amott in 1993, Spiritual Beggars were quite different from his previous endeavours in Carcass and Carnage as well as his duties as strings-man in Arch Enemy. Influenced by the hard rock giants of the 1970s with healthy doses of psychedelia, each album is unashamedly a head down Rock record. Michael comments. "I'm very pleased to be working with the relaunched Music For Nations label on these Spiritual Beggars vinyl reissues. I am very proud of these four albums and we've worked hard on making these LPs something well worth the long wait! I can speak for everyone in the band when I say that we are very much looking forward to seeing and hearing these albums on vinyl for the first time!" The Grammy (Sweden) nominated 'Another Way To Shine', release in 1996, and their first for Music for Nations, featured Christian "Spice" Sjöstrand on vocal and bass and Ludwig Witt on drums. Keyboardist Per Wiberg came along for the ride as the band returned two years later for the release of 'Mantra III'. The sound was of a band getting into their stride and becoming leaders in the genre which some have labelled Stoner Rock, although the band were more comfortable to simply be called a Rock band. 2000 saw the release of the groundbreaking 'Ad Astra'. 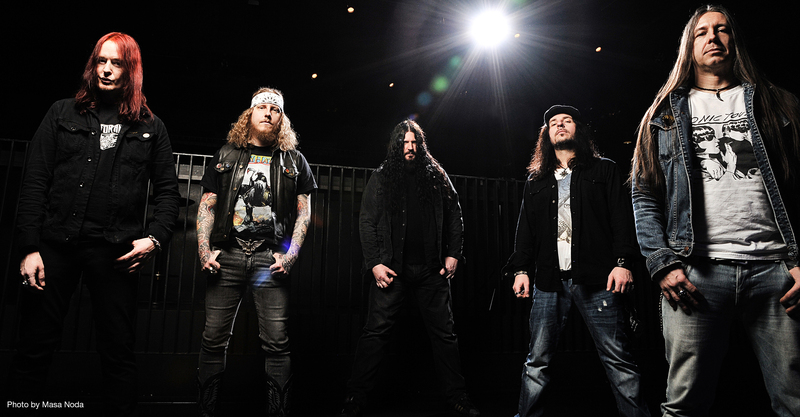 The release, led by single 'Angel of Betrayal', saw the band take to the road nonstop for almost two years. 'On Fire', their last album for Music For Nations, saw some changes as Spice moved onto other projects and Janne "JB" Christoffersson joined on vocals with Roger Nilsson on bass. It ended a four album run for MFN, but the band are still a touring and releasing albums, and these albums still sound strong and as excited as they did when originally released. Working with Michael, Music for Nations have lovingly revisited these records and with new visuals and coloured vinyl. We are working with Pledge Music to bring you these classic records on the format it deserves to be listened on. Pre-order from www.pledgemusic.com/spiritualbeggars .